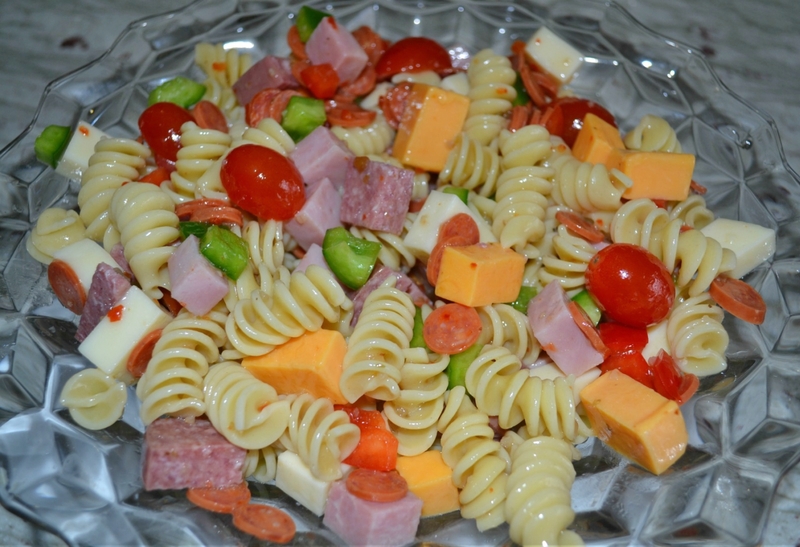 I call this dish Protein Packed Pasta Salad because of the abundance of different meats and cheeses in it. It is a colorful dish and makes a great side. It also makes a complete meal itself. wonderful if you use the Gluten Free Pasta also. I like to buy the meats and cheeses from the deli so that I can get thick pieces and cut them into cubes. Boil the pasta, drain and set aside to cool. Place in mixing bowl. Cut the peppers into small pieces and add to pasta. 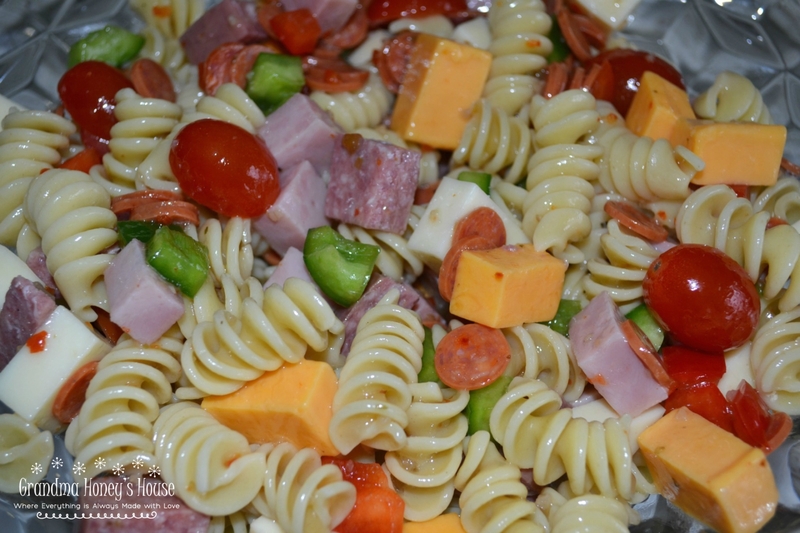 Cut the ham, salami, and cheeses into 1/2-inch cubes and add to the pasta, along with pepperoni. Add the dressing slowly, tossing to coat all ingredients. Gently toss salad prior to serving, drizzle additional dressing if needed. Boil rotini in salted water as directed on box, about 12 minutes; drain and cool. 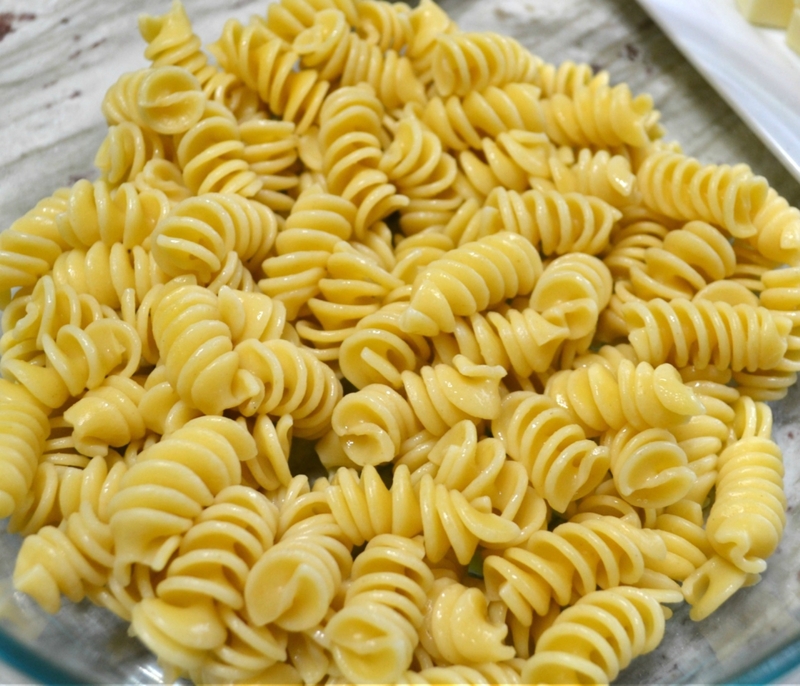 Place pasta in serving bowl. 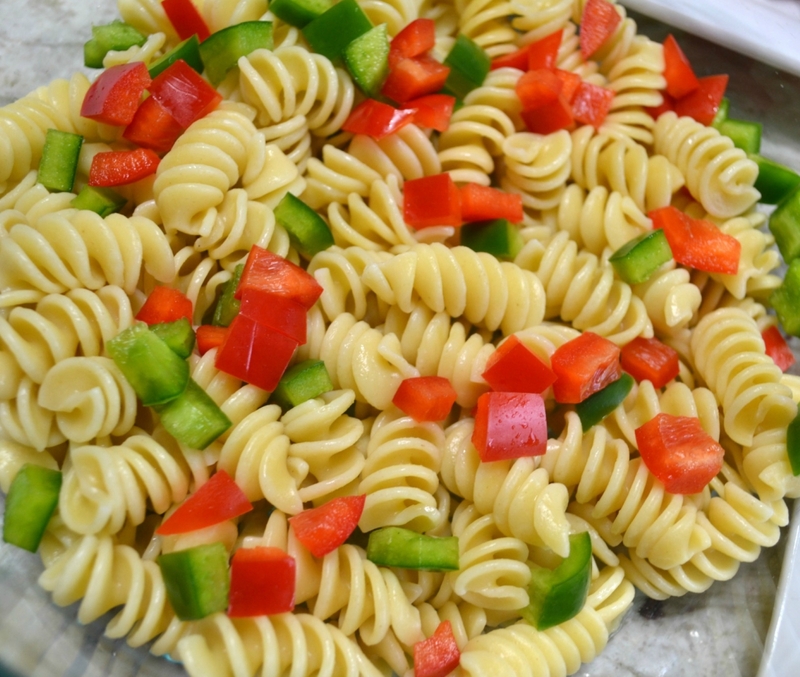 Add peppers to pasta. 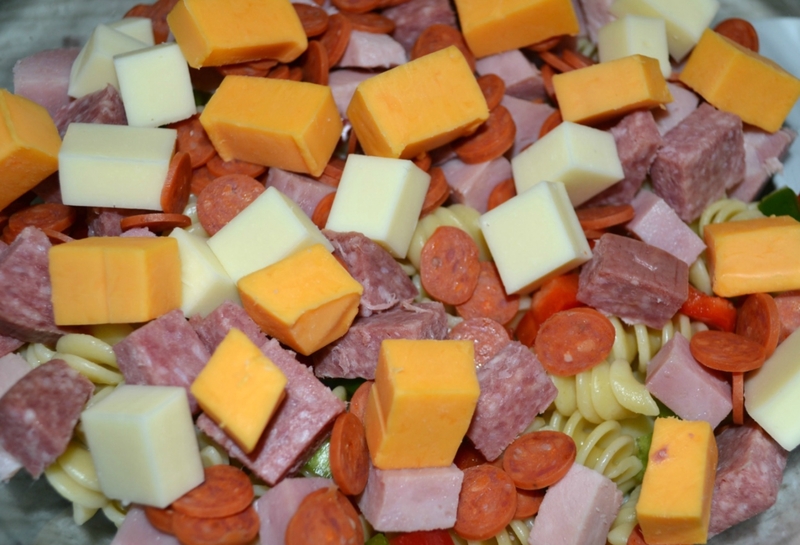 Cut ham, salami, colby and provolone cheese into 1/2-inch cubes. 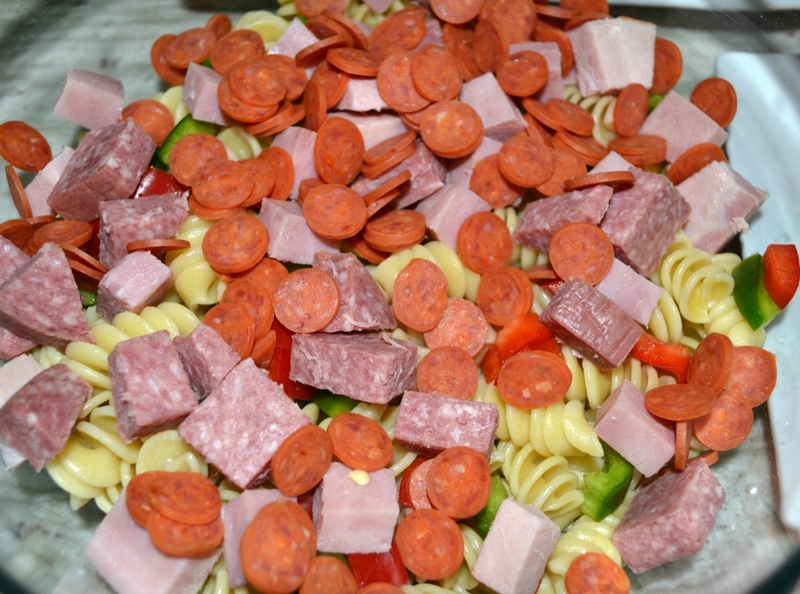 Add these ingredients, along with the pepperoni and tomatoes to pasta bowl. Add the Italian dressing slowly, tossing ingredients to coat all ingredients. Start with lesser amount of dressing and adjust to desired amount. Cover and chill at least 4 hours. Gently toss pasta again prior to serving. colorful, and delicious. The perfect side dish.